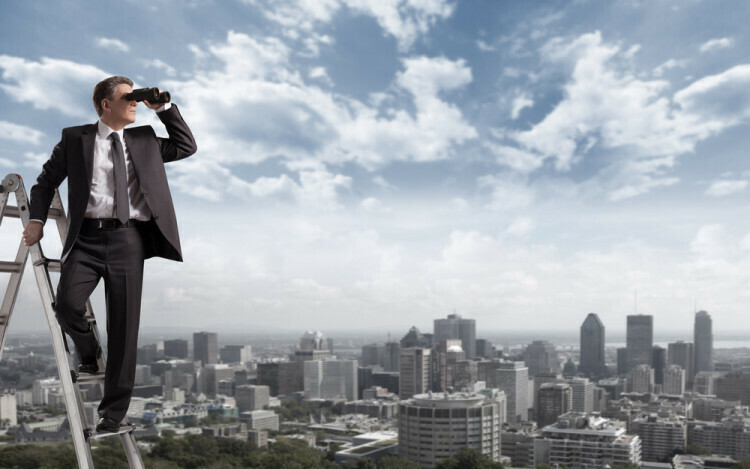 You won’t need a pair of binoculars to find out what your competition is up to—in fact, we’d recommend against it. This week on Bplans, we discuss how to keep an eye on your competition, and much more. This week on Bplans, we covered several important aspects of business planning, how to protect your ideas, and the concept of the E-Myth (spoiler alert: as the founder, you don’t need to do everything). In addition, we’ve covered many more topics that will help you start, grow, and run your business. Check out this week’s articles, and let us know what you’d like to see covered on Bplans in the comments below. Many business owners shy away from forecasting sales. After all, it can seem a little like predicting the future. But fortunately, you can forecast sales without a crystal ball. In his latest informative article for Bplans, Palo Alto Software founder and business planning expert Tim Berry explains just how easy—and important—forecasting sales is for your business. The business plan appendix is often the last part of your business plan that you will write. The appendix will include any further documentation, including plans, charts, or other relevant materials. Here’s what to include, and how to structure your appendix to end your business plan on a high note. 3. Copyrights, Patents, Trademarks, and Trade Secrets…How Do You Protect Your Creations? Intellectual property is often overlooked by entrepreneurs, but your creative ideas and newly-developed products may be some of your most important assets as a new business owner. Here’s how to protect what you’ve created. If you’re used to working full time, you probably haven’t given a whole lot of thought to your insurance. But for someone who has become recently self-employed, or is now working under full time, maneuvering through the insurance market can be difficult. In this article, you’ll learn how to get affordable coverage for yourself, even if you don’t get it through your employer. The “entrepreneurial myth,” or “E-myth,” is the idea that entrepreneurs need to spend a large amount of their time on the technical side of running a business, as well as on the day-to-day running of a company. Michael Gerber, author of “The E-Myth Revisited,” believes that instead, entrepreneurs should focus more on strategic and managerial duties, and make an effort to set up a business culture that can run itself, without the founder’s constant presence. Have you fallen prey to the “E-myth”? Have you ever wished you could spy on the competition? Well, you can—no binoculars required (or, you know, recommended). From subscribing to your competitor’s email newsletters to attending industry conferences, here are 10 great tips for finding out what your competition is up to. Have you ever “spied” on your competitors? Do you have advice for finding affordable health insurance as a self-employed worker? Share your thoughts in the comments.